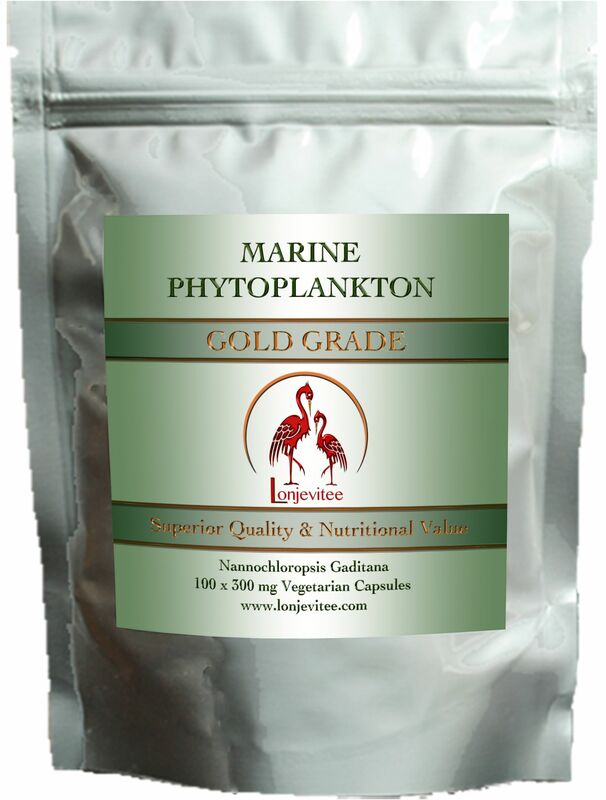 100 x 300 mg 'Gold Grade' Freeze Dried Phytoplankton packed in vegetarian capsule shells. No added fillers, packing agents or anything nasty, just pure powder. Contain more EPA. Packed in resealable pouches for cheaper delivery and convenient storage. Ingredients: 100% Pure, Freeze dried, European Gaditana Nannochloropsis. 30 g Pure powder per 100 capsules. Serving suggestion: Take 3 capsules once or twice daily. One serving provides 990 mg of gold grade phytoplankton powder.